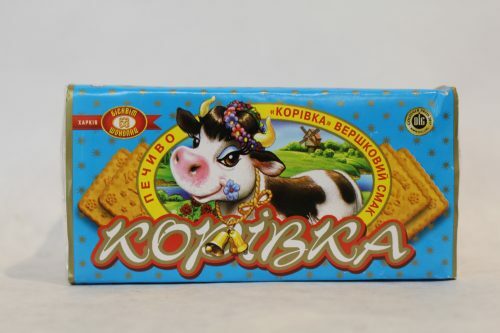 Cottage Cheese flavored sugar cookies imported from Ukraine. 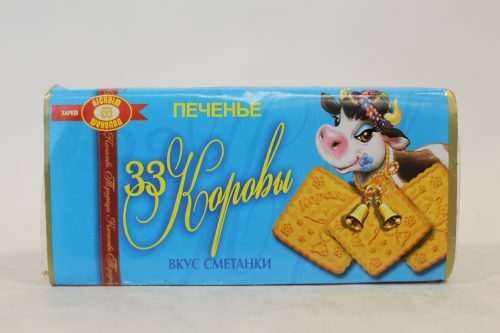 Condensed milk flavor sugar cookies imported from Ukraine. Sugary, sweet, and crunchy! 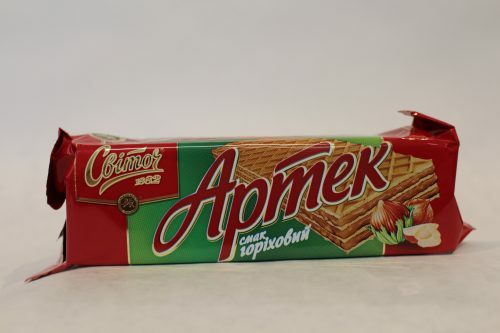 This Russian wafer has a rich cocoa based filling and makes for the perfect crunchy snack any time or any place! Three layers of filling with milk taste in the embraces of four crispy wafers - this is not just a delicious dessert. 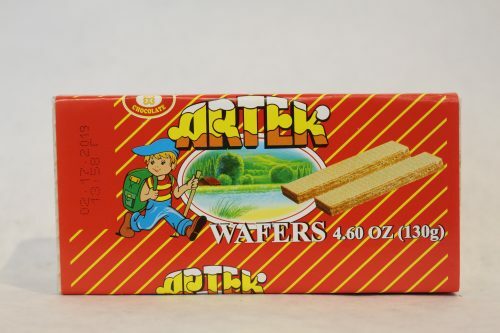 Incredibly delicate taste of baked wafers will give you unlimited pleasure! A sweet tea biscuit with a creamy flavor. Imported from Ukraine. A sweet tea biscuit with a baked milk flavor. Imported from Ukraine. A sweet tea biscuit with a chocolate flavor. Imported from Ukraine. 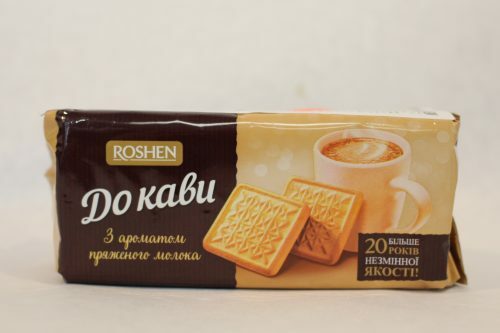 Vanilla flavored coffee biscuits imported from Ukraine. 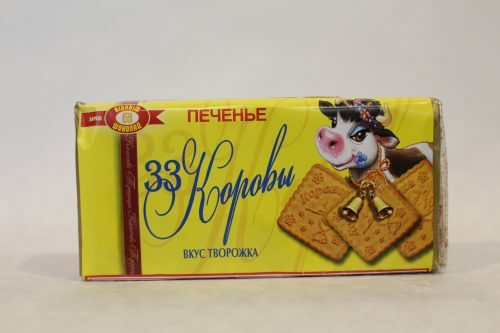 Baked milk flavored coffee biscuits imported from Ukraine. 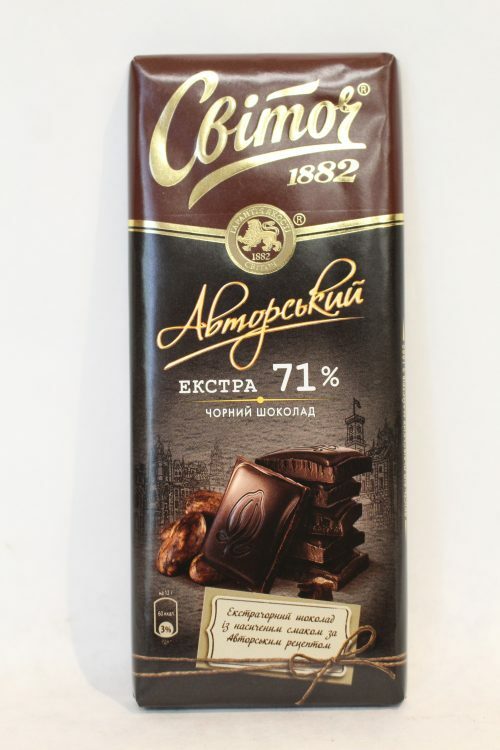 71% dark chocolate, imported from Ukraine. 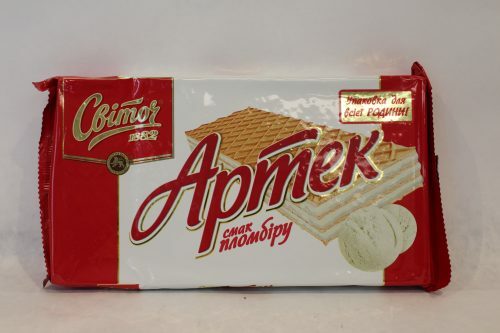 In our European food store, it is possible to find Ukrainian cookies, chocolate bars, candies, biscuits, boxed chocolates, marshmallows etc. This immense assortment, allows you to taste whatever your heart may desire. Moreover, you have a chance to treat your family members, close friends, guests with delicious confections. The experts say that recently Ukrainians have started eating sweets so much more than they used to do. That is no surprise since their confectionery market is enlarging and improving constantly. The products by Roshen, Svitoch, Zako, AVK and many other companies will definitely impress you. Zefir is like the American marshmallow’s elegant cousin. Zefir is named after the Greek god of wind to represent its light consistency and taste. 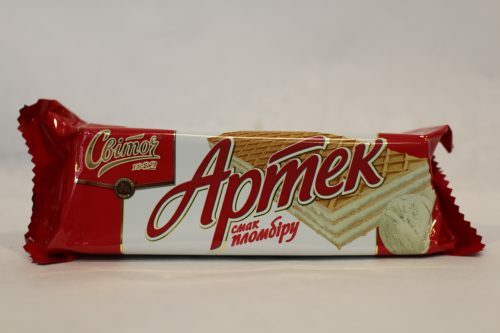 This kind of sweets is also widespread in countries of Eastern Europe like Estonia and Latvia. Zefir often has a white or pink color and is sometimes covered with chocolate. Zefir is baked according to a special recipe and it consists of natural ingredients like fruit puree, egg whites, and sugar. 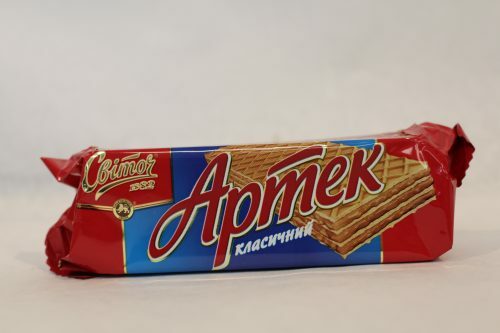 This Ukrainian honey cookie is also called Pryanyk. The classic set of ingredients used includes rye flour, sugar, honey, butter, eggs and different spices. The product can be in various forms and filled with jam or some other sweet stuffing. Gingerbread is enjoyed by many people in the diverse Slavic countries because of its divine taste. 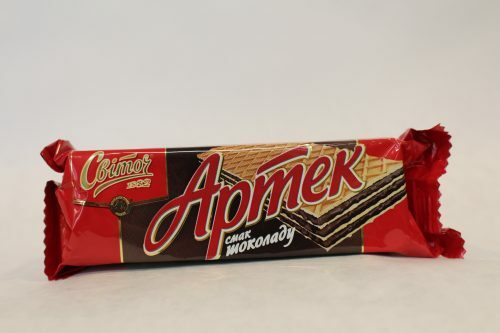 Ukrainian companies export chocolate almost all over the world. 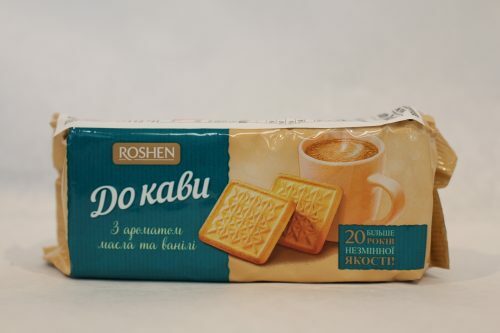 The brands that are leaders in the confectionery industry in Ukraine are Roshen and Svitoch. They produce a wide range of rich flavors and interesting combinations. Boxed chocolate has also gained popularity in Ukraine. 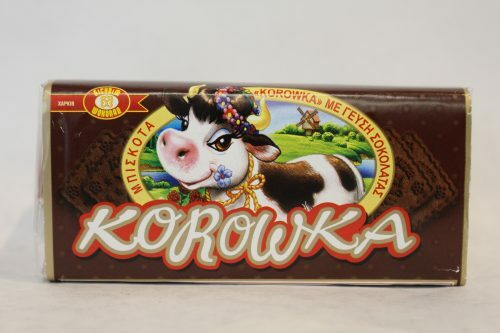 You can make everybody a little bit happier with a present of Ukrainian boxed chocolate. It can always be a nice addition to the main gift and at the same time, it’s a great compliment itself. In general, each box consists of different types of chocolate candies. They may be dark, milk or white chocolate, with or without fillings. 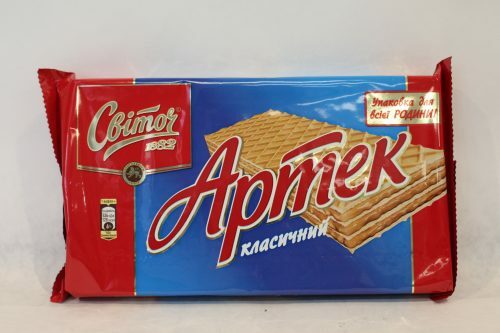 Crescent cookies or honey biscuits are also favorites in Ukraine. This delicious food melts in your mouth because of its high butter content. There are the numerous varieties of these yummy snacks and many Ukrainians associate them with the taste of childhood. Sponge cake is another must-try dessert that Ukrainians love. Only natural ingredients like honey, milk, the best quality cocoa powder are used here. All the cakes with fruit fillings contain natural fruit juices. We should note that despite the innovative technologies used now there is a place for the key traditional production techniques from the past. 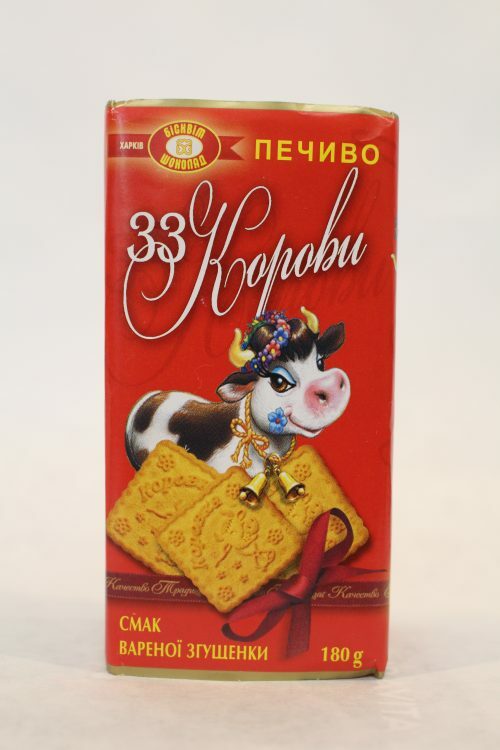 The Ukrainian manufacturers revive and keep the truly magical recipes. All sweets are made with great care and love by the highly professional and skilled specialists. Tasty food can produce endorphins that give you that desirable feeling of satisfaction. 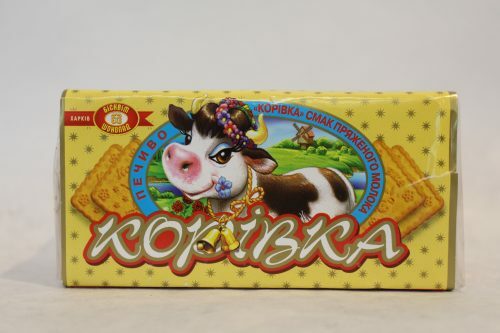 We sell Ukrainian sweets that are a sure way to lift your spirits. We make sure that each day can be made a little sweeter with some Ukrainian sweets.